The Last Young Renegade ‘Rose’ Collectable Denim Jacket here is a custom jacket designed based off the jacket that Alex wears. 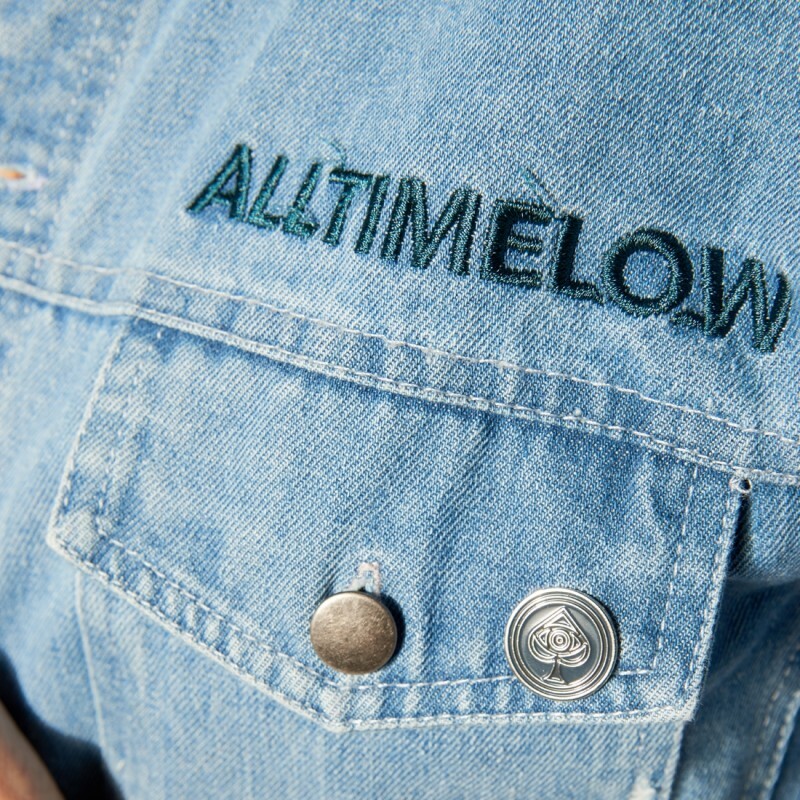 The denim jacket features the band name embroidered above the left pocket on the front. 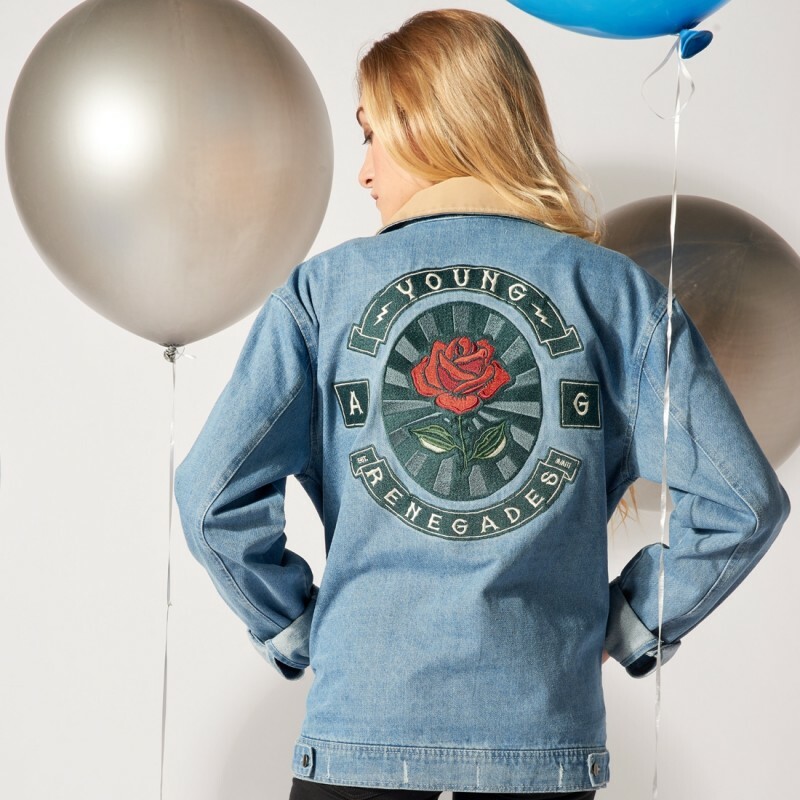 The back features the “Young Renegades” and Alex Gaskarth’s initials. 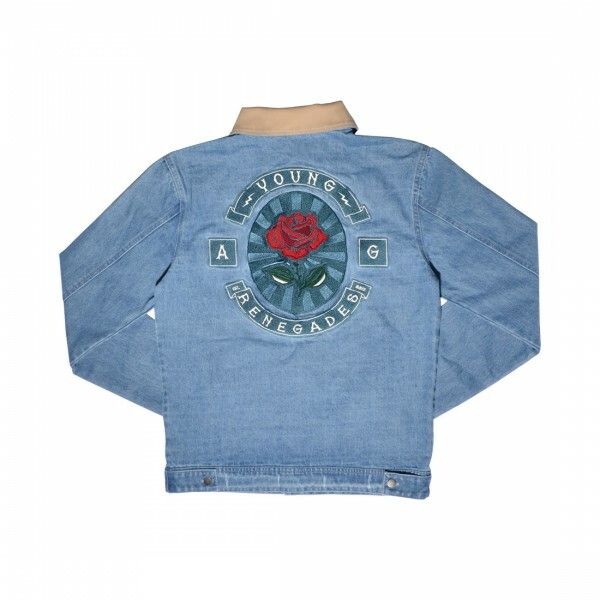 The embroidered patch of a rose is in the centre. The collar of the jacket has been given a tan embellishment. 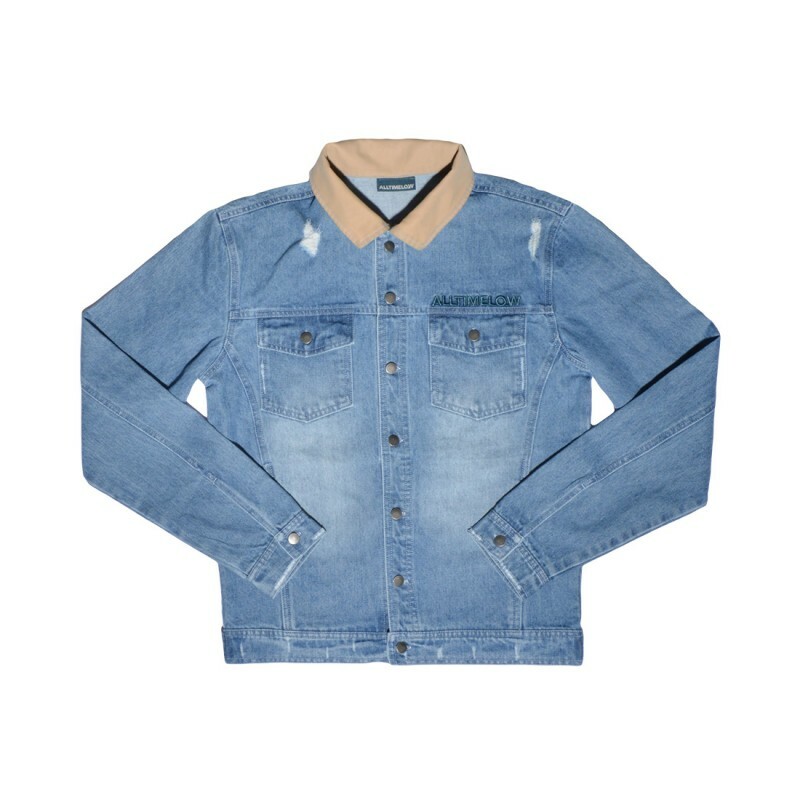 Please note the jacket has been distressed and each jacket may have different frays and rips, your jacket may look slightly different then the one pictured.